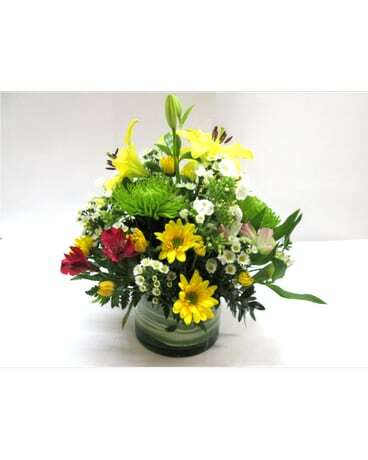 4x6 cylinder vase with a lily, phlox, alstromeria, green fuji mums, yellow daisies, and mardi gras aster. For delivery to Worcester and surrounding towns. If the system will not accept your town, please call us at 508-85-3-2550 to check for availability.